hope you are all well and had a nice holiday season. i was wondering if on the hisense sero 8 pro we can install the xposed framework and some of it's modules, i would like to use the xstana module to customize the nav and status bar. is this possible or will this mess up the tab, reason i ask is because i tried it once with a smart phone and the had some boot issues after installing. tried the xposed framework myself, so far so good, modules work for me on rooted stock rom. can anyone share your tweak experience on this tablet? i use Lspeed 1.3 and it do help on saving the juice. There is still something need to fix, some times the device just lag without reason. I used a duo core mtk phone before and it is slow indeed, but it never lag when i play any movies. This pad does lag while streaming youtube or video on my NAS. This tablet would be much better if we can fix this. I have two sero8 pro tablets. Both have problems with stuttering touchscreen. After flashing to oma rom it was much better but still far from perfection. As far as i know the max cpu frequency for this tablet should be 1800Mhz. Both my sero 8 pro run on max 1608Mhz. I read some users tablets run smooth, some do not. Maybe the problem is related to the cpu frequency. I tried every app and every tool (pimp my rom, L-speed etc...) available to improve the scrolling but without success. This sounds more like a hardware issue. I think this might not be a hardware issue because with flashing your firmware the behaviour of the touchscreen got much better. What worries me is the cpu clock. Isnt it possible to implement an overclockable Kernel? Could be there was an other kernel on the tab before. 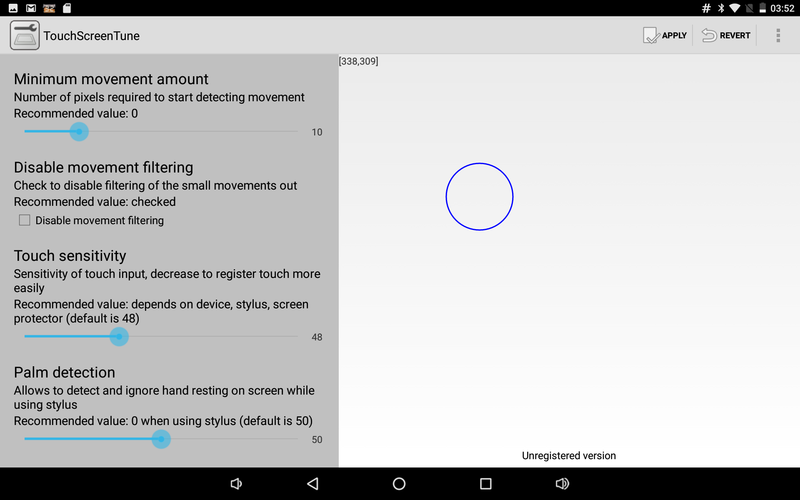 However, you can make a fluid touch movement visible with TouchScreenTune (see Playstore). CPU speed has nothing to do with screen rendering. That's the task of the GPU. Btw CPU max @ 1.6 GHz is set by the kernel. Your tab will be instable @ 1.8 GHz. ah ok i understand. But i dont understand why Hisense states 4*1,8GHZ for the rk3288. How you fix the lag for this tablet? I have the hisense vidaa Pad, the first release of the sero8 pro...before the name change, and whatever else they changed.. There's no lag in my tablet. I'm still running Oma's rom and very happy with performance. But again, happy to say my tablet doesn't experience lag. saw so many rk3288 device got marshmallow rom. is it posibble to port it to this device? that's someting i would like to know aswel, marshmallow or lollipop would be great, although with the xposed framework you can make to tablet look exactly like any of those androids. i was wondering if anyone knew if we can use a otg cable with tis tablet?